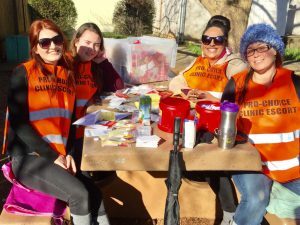 Women’s Health Specialists of Redding California continues to work with our young women in our communities to spread the power of peer education. Reproductive health knowledge and life skills support young women to continue the need for building self-confidence and honing leadership abilities through this peer-based leadership program. Our past graduates have taken the lead with the support of Women’s Health Specialist to continue this education with their peers, friends, schools, education sessions, and community events. At this time our past graduates are recruiting 32 new young women to be enrolled in our next 4 training programs. Young women 15 – 29 still receive 50% or less reproductive health services and education. With the Young women’s Leaders Training, this number will continue to decrease when these young women stretch their circle of knowledge, raise their voices and believe in their power for change. Numerous graduates are now in the positions of Volunteer/Youth trainers at WHS Redding Clinic. These young women are working with interns from Shasta College. They are sharing the services for reproductive health care and beyond. Bringing in young women for tours of the clinic and meeting the staff, supporting them by learning escorting and advocating for women’s services. They are aware that their involvement helps to remove barriers for young women seeking services. These young women and 8 others are working on recruiting more young women by attending community events, education session and networking in their community. These young women know what it takes to be a peer educator plus youth outreach worker. Young adults, choosing and training future leaders in their circle will make a huge difference in our community on all levels. Graduates will continue to help with their input in updating peer outreach training manual, educating sessions, also work as co-educators. These young women will continue to provide positive word-of-mouth information to their friends, peers, and family creating a trusted referral network while continuing to build leaders trained in Reproductive Health Education. With on-going support these awesome young women will continue to educate, empower, and support a positive future in the field of reproductive health care for all women here in the United States and beyond. Check out the full project report!